Planning to host a summer soiree? One great tip I’ve learned in working with bartenders and cocktail enthusiasts is not to take yourself away from your own party by getting stuck behind the bar and mixing individual cocktails for your guests. Instead, plan to serve a punch! Having a killer punch recipe on hand is a phenomenal way to impress your guests. Plus, the ease of being able to prepare the drink before your guests arrive and, in turn, have them serve themselves, takes some of the extra duties of playing host off of your shoulders. Below are three new recipes from Pernod Ricard USA that are sure to leave you and your guests pleasantly punched! Enjoy! Dre is internationally renowned for his cocktail recipes. His Royal Jamboree Punch is a fruity twist on the traditional recipe, a quintessentially English flavor perfect for the summer months. 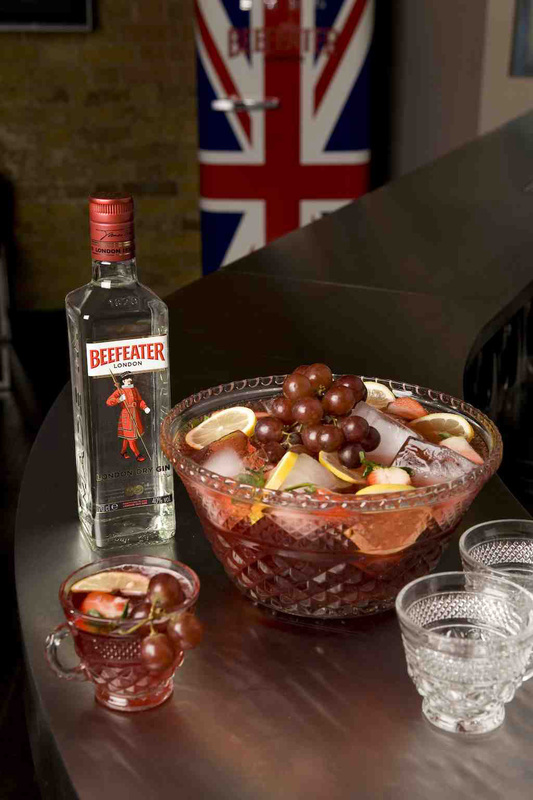 Pour all ingredients except lemonade into a punch bowl or jug and stir well, making sure the jam is mixed thoroughly. To serve, add ice and punch to a highball glass and garnish. Top with lemonade. 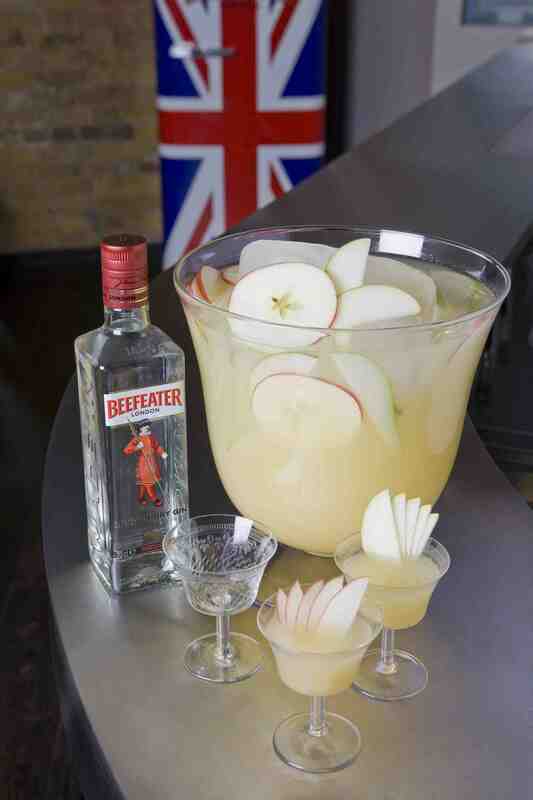 Celebrating the quintessential English country garden, the Beefeater Garden Party punch combines the best ingredients from the English countryside. Stir all ingredients with a large ice block and serve with ice in a highball glass. For large ice block: filling a clean, empty juice carton three quarters full with water and freezing. When frozen, carefully cut carton away from the ice. Add Hiram Walker Watermelon Schnapps and juices to punch bowl. Stir. Add about 45 dashes of celery bitters and stir again. Add ground pink peppercorn on top. Fill ice with glass and serve over ice. Yields about 75. Hi everyone, I hope you had a wonderful Cinco de Mayo/Kentucky Derby weekend and that you’ve all fully recovered! My name is Kayla, and as the newest member of the Cocktail Culture team, I’m writing this post to introduce myself and fill you in on some fun facts I think you all should know about me. Fact number 1: I love the beach. Nothing says “perfect day” like a warm, sunny day by the ocean, preferably with a cool drink in hand (just please keep the jellyfish out of the picture, I’m irrationally afraid of them). Fact number 2: While this makes me disliked by half of CT, I admit I am a big fan of the NY Yankees and the NY Giants (if any of you are unfamiliar they’re that football team that just won the Super Bowl). For any Red Sox and Patriots fans we have reading, I promise to keep my posts about either team to an absolute minimum! Fact number 3: I have been a New Englander my whole life, but I have a weird dream of moving to Nashville. Unfortunately, it’s not because I’m an aspiring country singer, I actually have a terrible singing voice that doesn’t even sound good in the shower (yes, it really is that bad). So now that we have that out of the way I’d like to make Stephanie proud and share with you a delicious cocktail recipe. 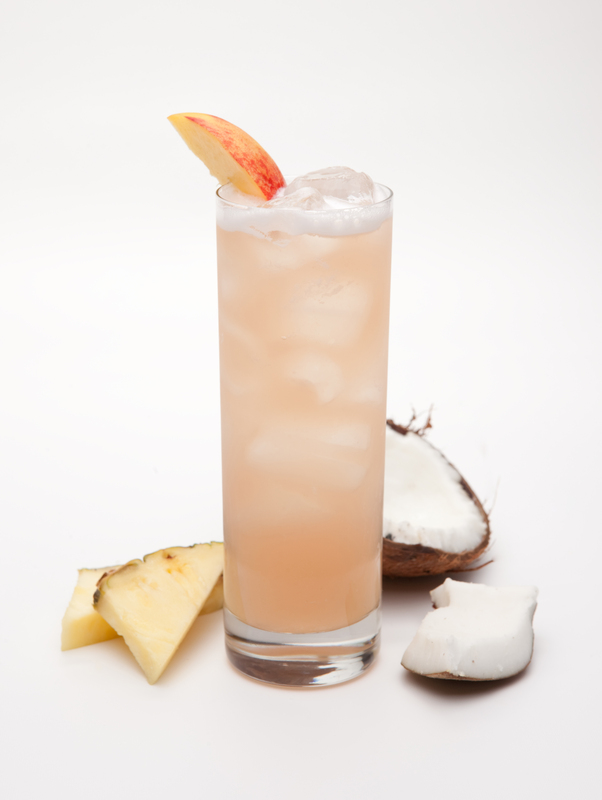 I know it isn’t summer just yet, but all that talk about the beach has put me in the mood for a nice Island Breeze. Hope you all enjoy and I look forward to getting to know you! Cheers and I hope you enjoy mixing up this new cocktail for you and your friends! Nobody said it was easy being green. So why resort to food coloring to accessorize your St. Patrick’s Day cocktails? Here are a few other suggestions for St. Paddy’s drinks of a different color. Enjoy! Combine ingredients in a glass with ice. Garnish with an apple slice. In a tall mixing glass place two mint leaves. Add Jameson, strawberry puree, lemon juice and agave nectar. Add ice and shake vigorously. Strain into a pre-chilled martini glass and garnish with a single mint leaf. Today’s cocktail is brought to you by the number Pi. Which makes me think of pie. That subsequently gets me on the path to Key Lime Pie. 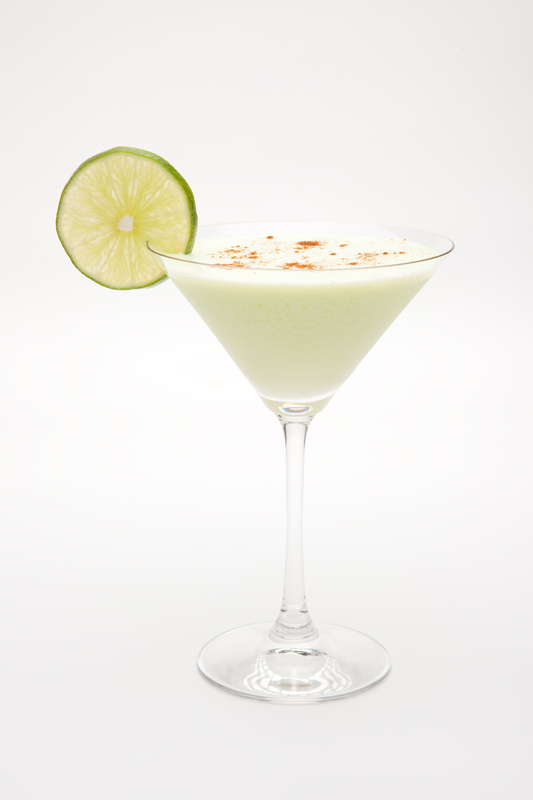 And now here I am bringing out a Key Lime Pie inspired cocktail. Add ingredients to a shaker with ice. Shake and strain into a cocktail glass. Garnish with a lime. Equal parts unexpected and imaginative, the Tidal Wave cocktail has become a popular Hiram Walker cocktail for Mardi Gras celebrations. Mardi Gras. Carnivale. Shrove Tuesday. International Pancake Day(Yuppp, that too!). 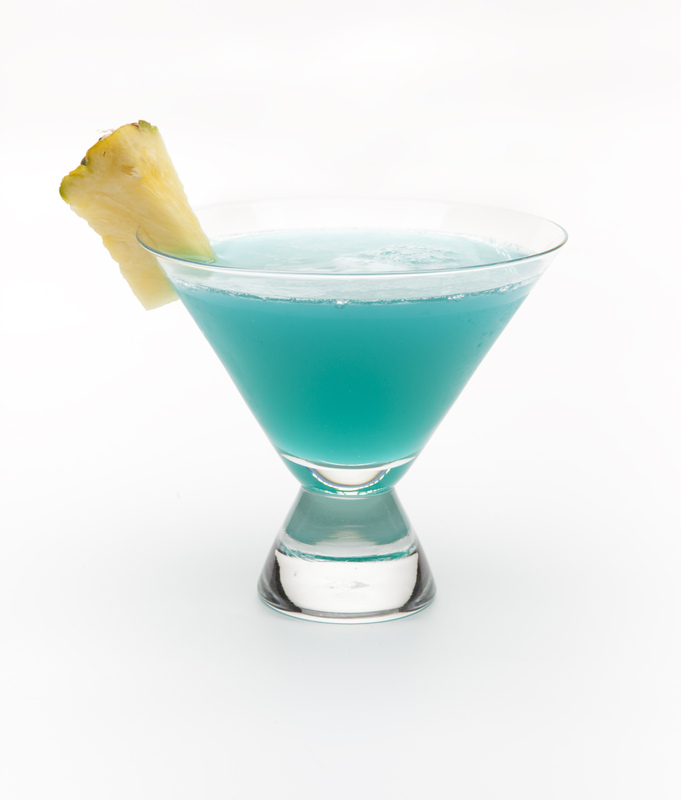 No matter which designation you prefer, today is a great day to enjoy a cocktail beverage or two. The Sazerac is recognized as the official cocktail of New Orleans and comes highly recommended today from yours truly, but there are plenty of other beverages reminiscent of NOLA. The Hurricane is among them and this cocktail recipe from Hiram Walker, with its coy play on the Hurricane name (this one’s called the Tidal Wave) is one that had a welcomed reception last year for Mardi Gras. 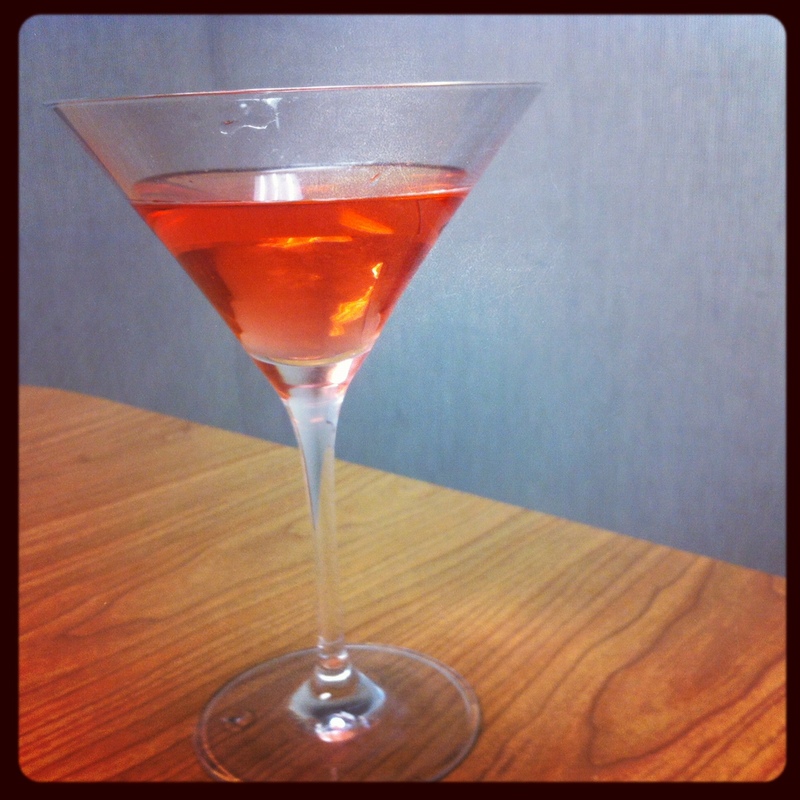 Check out last year’s post and enjoy a cocktail to celebrate Mardi Gras tonight!